It is interesting that when it comes to psychiatric medication that the marketing is not necessarily the first thing that you think of, but brand awareness about the medication is something that pervades our culture. Some people obviously don’t see that there is an issue with this, but that often is going to depend on how or whether a drug is perceived to be problematic, and this often reliant on how well it was marketed and what share of the market it managed to convince of its efficacy. If you have a small group of people affected by something it might fly under the radar. Oxycontin isn’t one of those drugs. Say the words “opioid crisis” and Oxycontin is going to crop up somewhere in that conversation. Or maybe you might know it as Hillbilly Heroin, Blues, Kickers, OC or Oxy – drugs tend to accumulate a large variety of street names, given that non-prescription use of them is illegal, so you need some way to talk about it. 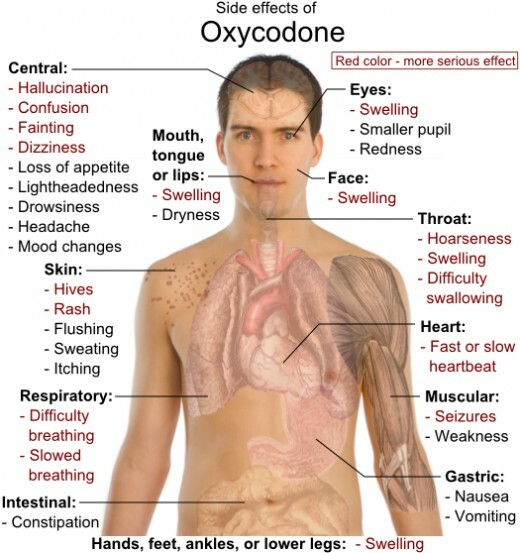 But Oxycontin is known, and Oxycontin’s reach and impact is staggering when you look at it. 142 people a day die from opioids and a total 53,000 died from overdoses on opioids in 2016. Purdue Pharma who produce Oxycontin accounted for half of the prescriptions nationally by 2001, and the bulk of a certain family’s $14 billion fortune was derived from Oxy. Are they proud of this? Seemingly not – though it doesn’t stop them from continuing to reap the profits. On the surface they appear to do a lot of very social things – donating to museums and art galleries all over the world for a chance to attach their names to something positive. But their name is not found anywhere on the bottles of Oxy that get distributed. Not that many people have heard of the Sackler family. If you are looking at a problem you need to look at the people who are profiting from it; and in the same way that common criminals and drug pushers are forced to make reparations for the damages they have caused, so to should these companies and families that make money off of something that costs the country $80 Billion should be forced to reach into their deep pockets and fix the problems they have helped cause. Will this happen though? Were the Sacklers mentioned when it came to talk of handling the opioid crisis? Not really. But apparently four out of five people who try heroin started on opioid painkillers. The marketing campaign from Purdue Pharmacy to convince people in the industry that Oxycontin wasn’t addictive worked well, as shown in the profits they made. That old adage of follow the money seems to be unearthing these connections though, and federal prosecutors in Connecticut have opened a new criminal investigation of Purdue Pharma, focused on their marketing of the drug. And other companies in that business have come under scrutiny as well. It might be an easy selling point to point to the obvious criminals who deal street drugs as the ones you are going after, but you really do have to look at the so-called legitimate pharmaceutical companies that were misleading about the products they were selling as well, because the amount of money they have made from the sale of these problematic drugs does make them complicit. Also from Glazek: “When Purdue eventually pleaded guilty to felony charges in 2007 for criminally “misbranding” OxyContin, it acknowledged exploiting doctors’ misconceptions about oxycodone’s strength.” It’s interesting because the marketing we generally think about are the bouncy ball of happiness for Zoloft, all those smiling figures on adverts for new drugs – and not necessarily the marketing that is directed at the doctors who prescribe the drug. But there are conferences, and there are promotional items, and there are incentives, and there are free samples – Big Pharma’s marketing machine is a slick and frictionless thing that works tirelessly to push the latest drugs. Benevolence and a desire to help handle certain conditions may be true of some medical companies, but there are those who are driven, like any other business, by the need to make a profit for their shareholders, and at some point a calculation is made as to the risk of putting something out there that is not necessarily as safe as it is made out to be. Oxycontin is one of those somethings, Purdue Pharmacy are one of those companies that is more concerned with profit than safety, and the Sacklers, as more and more stories keep telling us, have been making a lot of money from this, while getting to hide away and never have to face the consequences of the crisis they helped create.